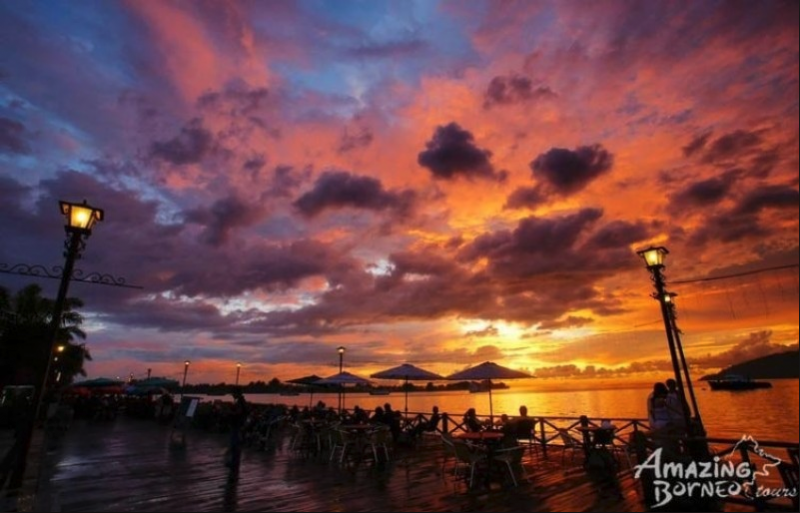 Getting As Close As Possible To Sabah's Sunset! On Board North Borneo Cruises! It only took me a couple of minutes after landing in Kota Kinabalu for the first person I met to tell me about the beautiful sunsets in Sabah. "You landed just too late, you missed the spectacular sunset tonight!" said my Grab driver, "You should definitely go check it out tomorrow, most of the time it's incredible!" 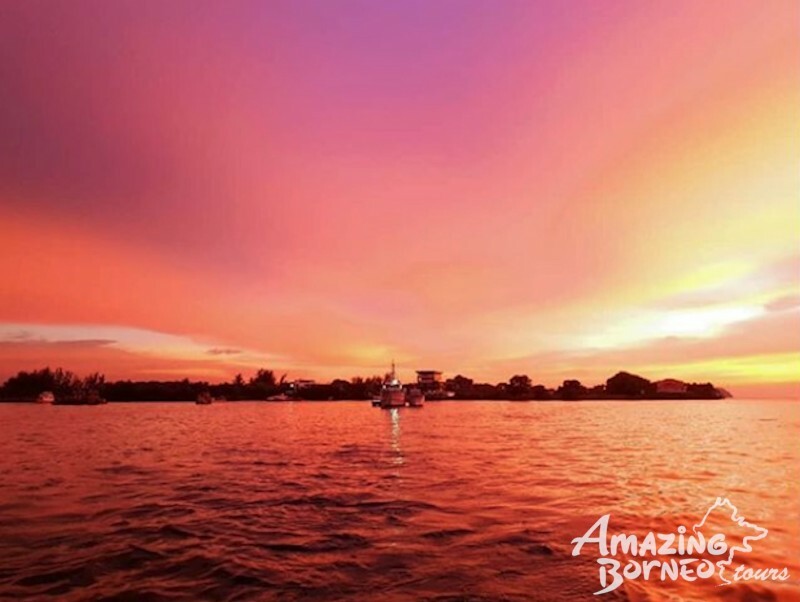 Upon arrival at my hotel, I took a couple of those activities leaflets and fell upon a two-hour last sunset cruise, North Borneo Cruises. This was it! What better way is there to admire a sunset than up-close on water? Keep an eye out for this! 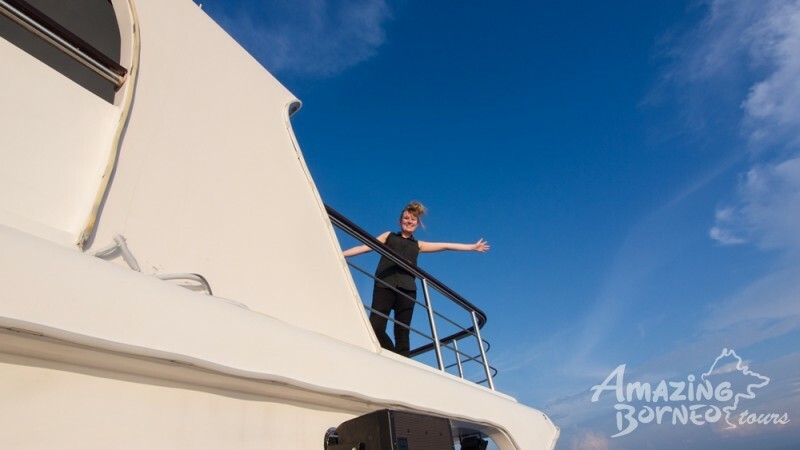 I checked for availability the very next morning, and luckily for me, I could still book myself onto the sunset cruise on the same day! Booking myself onto the Sunset Dinner Cruise was really straightforward via their website and at 4.30PM, I found myself at Sutera Harbour Resort's Marina Jetty for the departure. After an easy breezy registration, the other guests and I were welcomed by the friendly crew who brought us to our assigned table. Got the bar table all to myself! 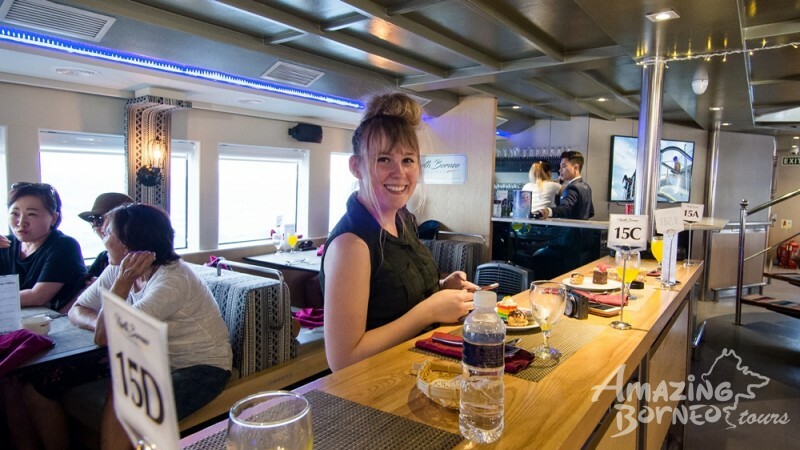 The catamaran was well-decorated with authentic local decorations and the crew wore beautiful traditional clothing. 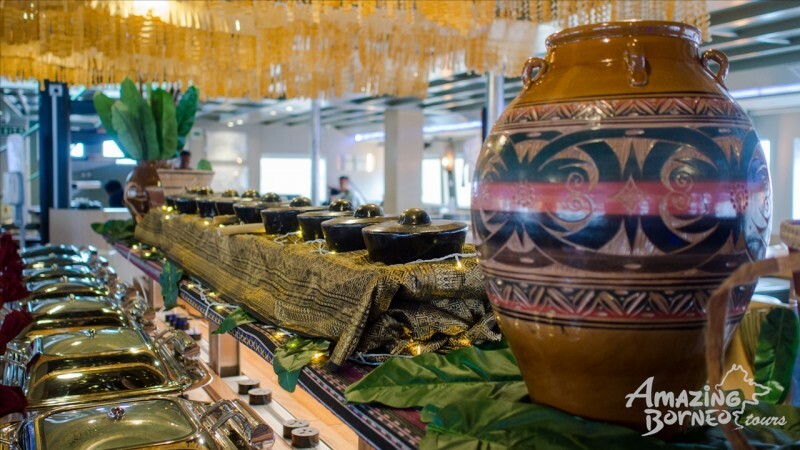 It was the Ka'amatan season when I was on board and that explained the theme of the vessel that evening. I had not heard about the Ka'amatan Festival prior to my visit to Sabah but quickly found out that it's the local Harvest Festival and it's celebrated once a year in Sabah throughout the month of May. A fantastic International buffet spread was waiting for us and as soon as everyone was on board, we each grabbed a plate and filled it with a variety of dishes. The local, Western, and other Asian-influenced delights were delicious. I managed to get a taste of everything, but I think I may have eaten too much because by the time I went for my second and third rounds, I was absolutely filled to the brim! This all-you-can-eat buffet definitely exceeded my expectations! After a fulfilling feast, everyone started noticing the sun slowly setting onto the horizon, we decided to head to the top deck for a better view. A breeze of fresh air is exactly what we needed after a day of strolling through the hot streets of Kota Kinabalu. The surrounding views of the islands, the mesmerizing South China Sea, and fishing boats passing by made me feel extremely relaxed. Got the best spot on board for sunset viewing -- the sun deck! It wasn't long before the sky and our surroundings transformed into warmer tint as the sun reflected off the surface of the water, giving us that romantic movie set sensation. We took some amazing shots before the sun vanished into the South China Sea. Little did we know that the show was only about to begin! 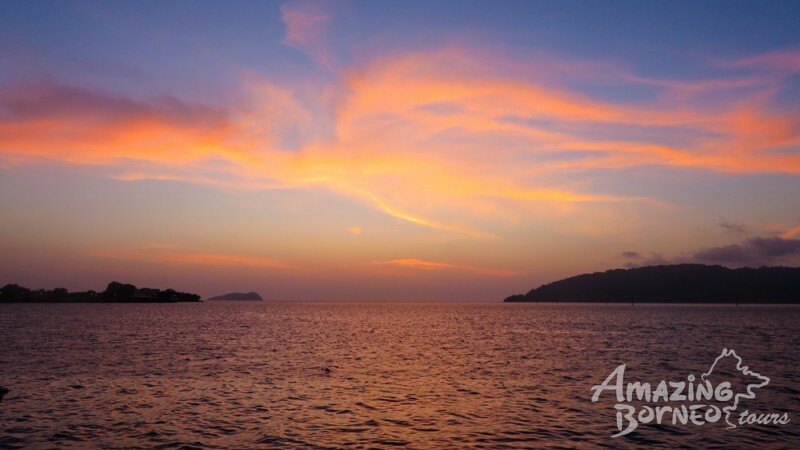 We were approaching Kota Kinabalu's Waterfront when the sky released a whole palette of ethereal colours before our very eyes. The sky turned into different shades of pink and yellow, I had never seen a sunset like this before and it nearly seemed unreal to be witnessing such beauty! Nothing less than amazing even after the sun has set! One last spectacle from Mother Nature! 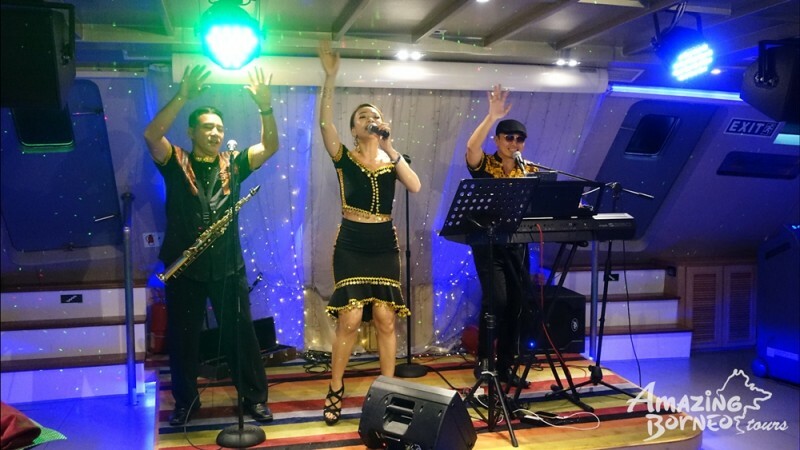 We could hear the joyful music coming from inside so we decided to go back to the main areas where the crew were performing a few dances, making it the perfect start to the evening entertainment of our North Borneo Cruises itinerary. You don't want to miss the crew dancing their signature performance! The live band took over and played very catchy well known songs and some that were... a little bit unknown to me. The lead singer and musicians were so enthusiastic and energetic that I had to toss my insecurities on the sidelines, and joined the crew and other guests in rocking the dancefloor. What made my evening was participating in the local Sumazau dance, which is also known as the "bird dance" inspired by an eagle's flying pattern. I was amazed when everyone started doing the same moves and I just had no clue on what to do. 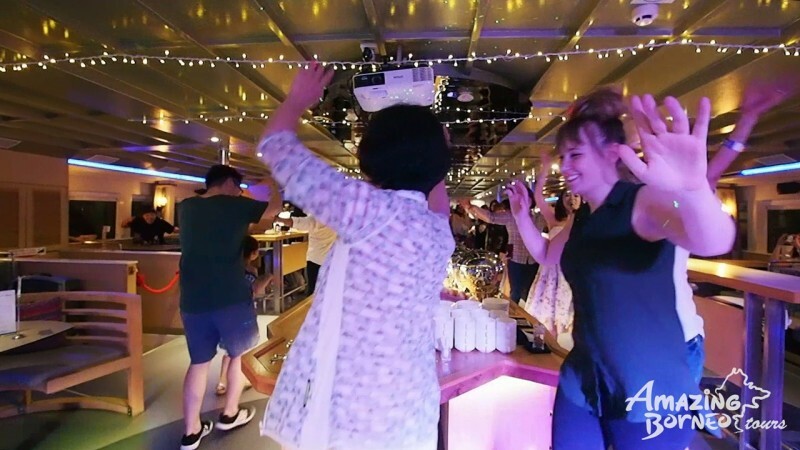 Fortunately, the moves were simple and the crew were very patient to show us how to do it, so it was very easy for me to pretend as if I totally knew the dance. The Sumazau a.k.a. the "bird dance"
I took one last cup of tea and a slice of chocolate cake as we made our way back to the Marina Jetty around 7PM. 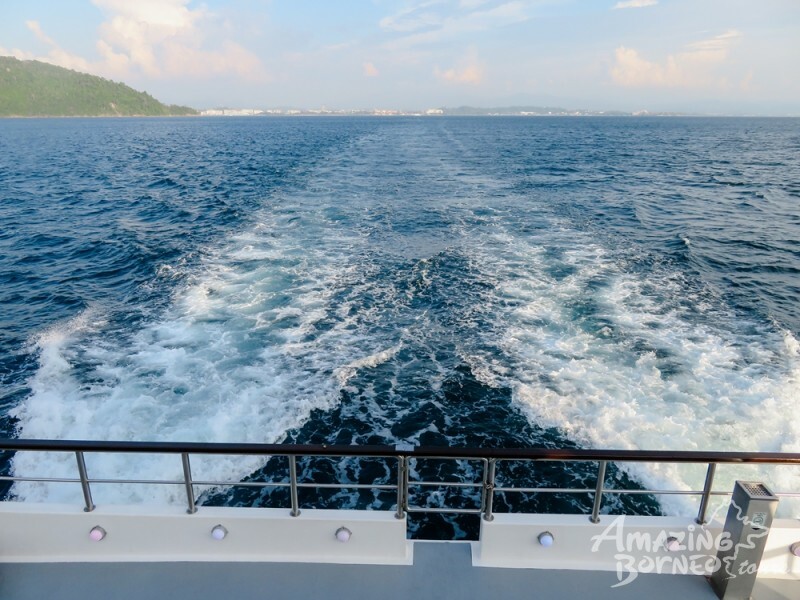 I would absolutely recommend North Borneo Cruises to anyone visiting Kota Kinabalu, Sabah! You might ask yourself, why pay to watch a sunset on a cruise when one can do it for free at the Waterfront? 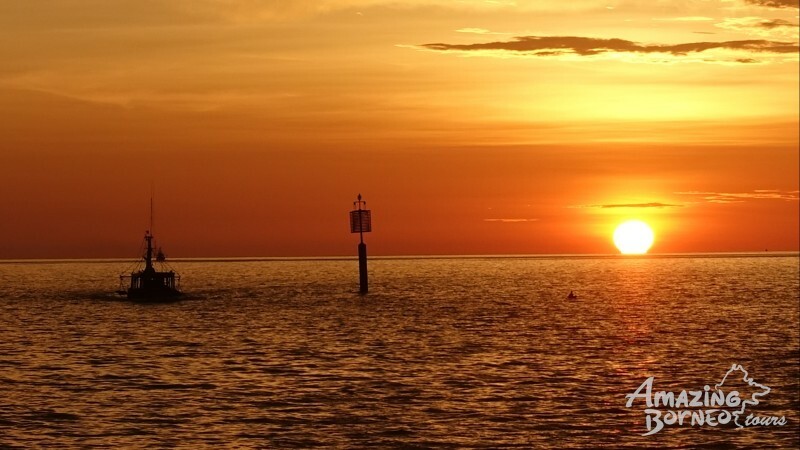 This is my personal opinion, but I think that a sunset from the water just gives an extra special touch to the whole sunset chasing experience. 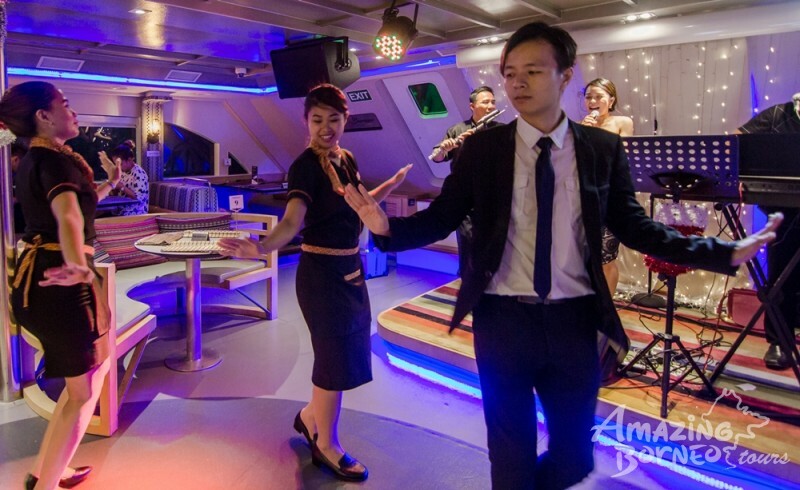 Plus, with good food, entertainment, and friendly crew will give you joy, relaxation, and a full stomach. If that's not a good way to start the evening then I don't know what else is, and you'll definitely be missing out! Check out my experience in video HERE!